If you’re over the age of 30, you probably remember life before the internet. Back then, there weren’t any cellphones, you had to record TV shows with a VCR, and the word Instagram hadn’t been invented. For anyone under 18, this seems like a normal concept. Today’s kids have grown up believing the world is their stage. While Instagram can be a useful way for teens to connect with friends, it does have its downsides. 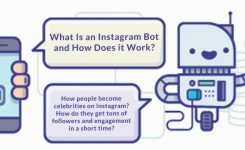 If your teenager has (or wants) an Instagram account, and you’re not quite sure if that’s a good idea, take some time to learn a little bit more about this social media platform. 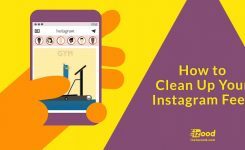 At its simplest, Instagram is a photo and video sharing application for a cell phone (it has a web version, but you can’t upload photos or videos from a desktop or laptop computer, only view others’ photos and comment on them). The app has fairly sophisticated photo editing tools to manipulate the photo before it’s posted to the user’s account. The user, in theory, then adds a caption and hashtags, which make the image searchable by other Instagram users. A user can share a photo or video one of three ways: privately (limited to followers only), publicly (available to everyone), and directly (the image is sent to a maximum of 15 people). Instagram complies with the Children’s Online Privacy Protection Act and requires users to be 13 or over. However, because it doesn’t ask for proof of age, younger children can easily sign up for an account (with or without a parent’s permission). If Instagram is notified of an underage account holder and can verify the user’s age, it will delete the account. It’s as risky as any other social networking site. Your child may encounter serious online dangers, ranging from a child predator to a bully, on Instagram. 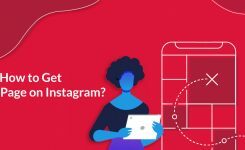 Given the natural human tendency to only post flattering photos, which are often altered to perfection using filters and other editing functions, some say that Instagram could have a particular impact some individuals’ body image and the fear of missing out (which your kids more likely call FOMO). With parental monitoring and enforcing rules about the account, young Instagrammers can learn how to manage these risks. Set limits on what your teen is allowed to post on social media and use social media strategies that will keep your child safe. The display name (which may or may not be the user’s real name), profile picture, and bio are visible to the public (including those who don’t follow, or subscribe, to the feed). So it’s important to insist that your teen keeps a faux username, rather than using her full name, as the display name. The profile picture should be appropriate for her age, and the bio should be innocuous. Behind the scenes, there’s a “private information” section. Here, your teen could enter her phone number—but it’s not required, so make sure that it’s blank, just to be on the safe side. In two words—kind of. The whole point of Instagram is, much like Tumblr, to garner a large following. However, if you would prefer your teen restricts access to her photos and videos to a limited number of people, you can do that by setting the profile to private. If it remains public, that means everyone—from those who follow the profile to the general public—can see the photos. If it’s private, that means the user has to approve anyone who has to follow you. If your teen wants a public account, but you want him to be private, create the account in steps. Start with a private account, and once your teen proves that he can play by the rules, allow the account to go public. It can if you allow it to. You can tag your photo to be at a certain location, but you don’t have to. Decide whether you’re willing to let your teen tag locations and communicate that decision. If you want to remove the decision, take your teen’s phone, go into settings and turn off location settings for Instagram. At the same time, you might want to double-check what other apps are allowing your teen to post where they’re located at any given time. Giving away her location might invite potential predators to come find her. Of course, even if you shut off the location settings, the photo itself might make it obvious where your teen is. A picture of herself at the high school football game or a photo with an identifiable landmark in the background will also announce where she is. You can easily block other Instagram users; however, if your teen’s profile is set to public, they’ll still be able to see it without having an Instagram account—they simply won’t be able to comment or direct message your child. To block a user, go to the profile of that person, select the menu button and then choose “Block User.” This also stops the person from tagging your teen in photos. You can always delete a post, even years after the fact. Remember, though, if your child shared it to Facebook or Twitter, deleting the photo on Instagram doesn’t delete it on other social media platforms. Therefore, you’ll have to visit each site individually to delete the photo. If someone has tagged your teen in a photo, and you don’t want that to show up, click on your teen’s name on the photo and delete the tag. Remember that just because it doesn’t appear in your teen’s account anymore, doesn’t mean it’s gone forever. Someone else may have saved it or shared it already. However, you should talk to your teen about internet safety often. Discuss the importance of using Instagram’s blocking feature and privacy settings. Since Instagram is made up of pictures, there can be pressure to look good. Some teens spend hours trying to capture the perfect selfie to share. And then, they sit back and watch what type of reaction they get from their photo. Many teens depend on likes and comments on social media to fuel their self-image. The more attention they attract, they better they feel. Of course, body image issues play out on lots of other social media platforms as well. But, Instagram has been particularly problematic. Hashtags like #thighgap, for example, becomes a bragging right among females who show off how thin their legs are. Placing such a large emphasis on appearance and comparing images to one another could lead self-esteem problems and may fuel eating disorders. Even if you don’t allow your child to have an Instagram account, that doesn’t mean he’s not on the site. Teens need to know that even if they don’t partake in social media, they might still be building an online reputation that could be found by future hiring managers or college admissions officers. Nothing stops another user from uploading a photo of your teen and identifying him by his full name. Remember, at least if your teen has an account, there’s a modicum of control over which photos identify the child. You could do that, but you might not like how it plays out. Social media is a mainstay in a teen’s life, no matter how much you don’t want that to be true. If you have a super-obedient child, then go for it. If your teen is like most, then he might not follow your edict. Given that email accounts are free and the app is free, it’s pretty easy for your teen to get on it without your knowledge. As the saying goes, better the devil you know, than the devil you don’t. Double-check the photos, including the background, for identifying information. A photo posted in your teen’s room might have a banner exclaiming her high school behind her. Hashtags should not reveal personal information or a location, such as #MountainsideHighSchool, #HappinessInNewton or #GymnasticsInOsseo. All pictures must be taken while the teen is fully clothed; i.e. no bathing suit pictures. Even if she is fully clothed, no photos from above the head while wearing a v-neck shirt. No vulgarity or cruel remarks in captions or comments. Do not post photos of other people without their permission. Even if it’s the norm, social media is tricky to navigate, particularly when parents aren’t used to this new world. However, as teens go through high school, college and enter the job market, they will be expected to know how to use these platforms.Therefore, it does them a disservice to forbid them to have an account. With proper parental monitoring and some common sense, a teen can successfully use Instagram without problems.